A Japanese dessert shop located in San Mateo, CA. 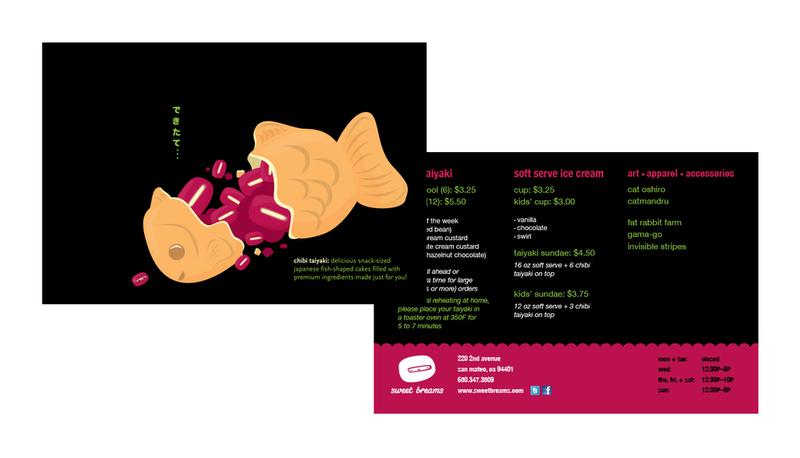 Sweet Breams served Taiyaki, a Japanese fish shaped cake filled with various flavors. Business focused on quality & unique ingredients. Worked with owner to create branding that would best reflect the look and feel of the shop. 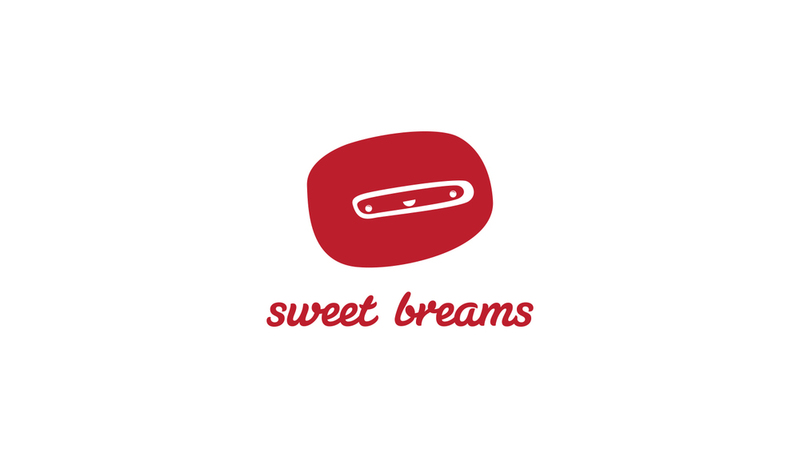 Being a small shop that offers Japanese sweets, along with art sold by local artists, shirts, mini figures & various goodies, I wanted a brand that would reflect something cute, friendly, but still professional. It reflects not only what the shop offers, but the type of cliental that frequents the shop (mainly youth and those that have great interest in the Japanese culture). The iconic figure is an Azuki Bean- a Japanese sweet red bean. This red bean is tradionally the main filling in a Taiyaki.